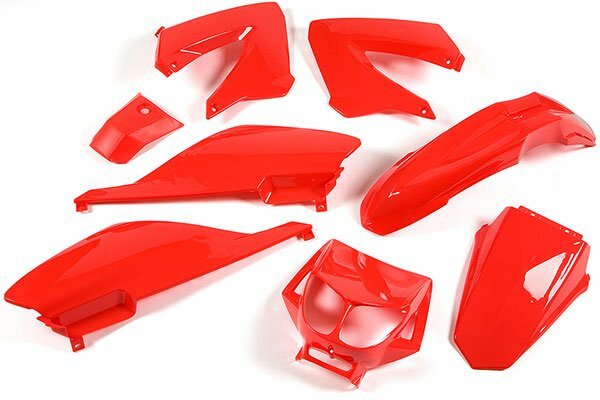 In July, Maxiscoot, tuning specialist for 50cc scooters and mopeds, has awesome deals on plastics by Str8. 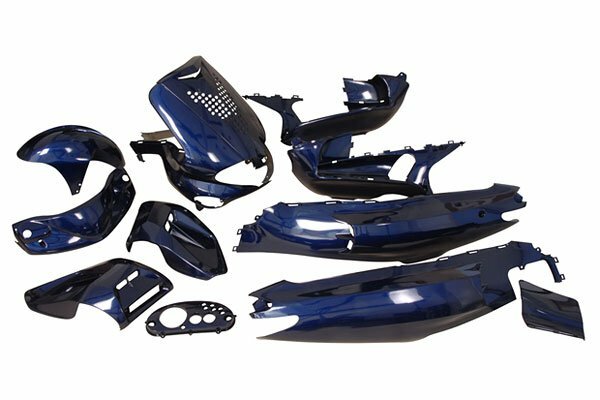 Use the opportunity and go bargain hunting to give your two-wheeler a new look. The discounts range from– 10% to incredible – 50%. 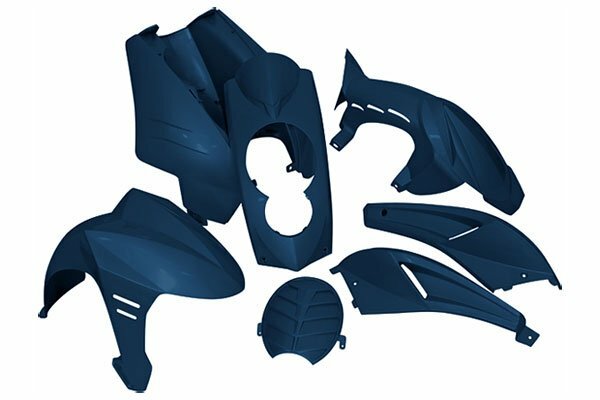 This means that you now can afford a new fairing kit without exhausting your budget: a complete kit for Booster / BW’s or Derbi Senda is now only 89 €. 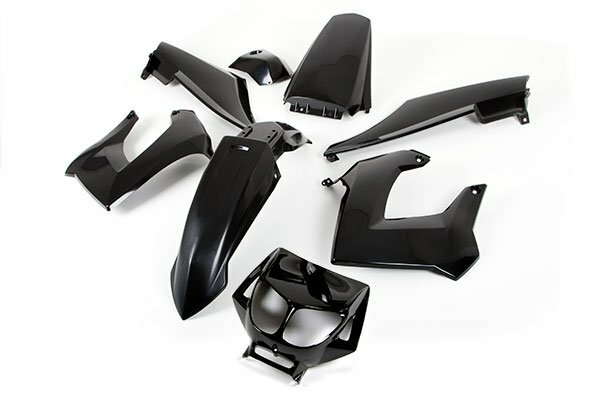 The fairing kits and panels are made of high-quality plastic and are available for many popular moped and scooter models and in various colours. 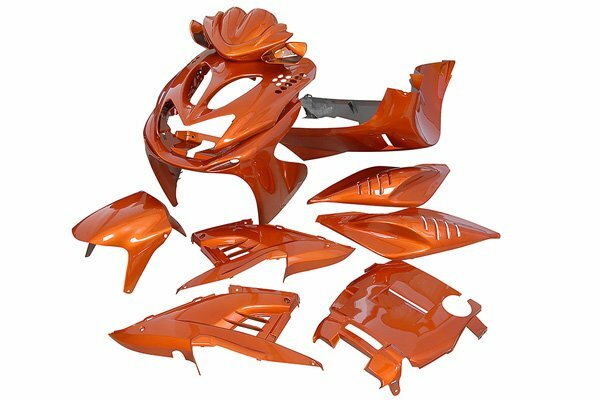 So look around and replace missing, damaged or shabby looking fairing parts to overhaul your bike. 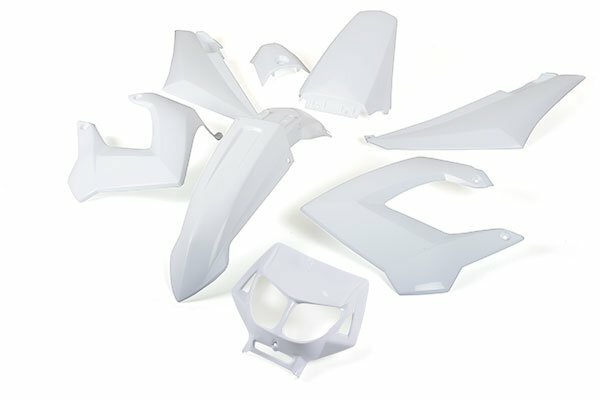 Depending on model, the fairing kits for 50cc scooters include 4 to 13 parts. 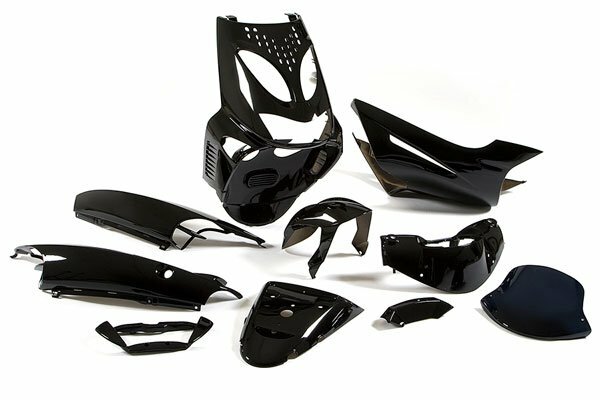 Complete kits include headlight mask, handlebar cover, mudguard, inner fairing, underbody, underseat and rear panels. All panels are painted and available in several colours: white, black, blue, orange, red or green. 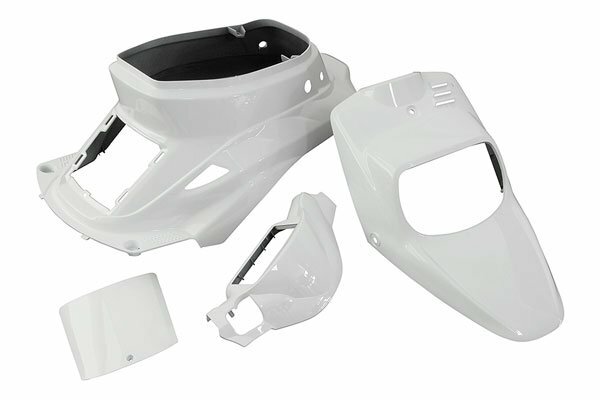 Depending on model, the fairing kits for 50cc supermotards include 7 to 8 parts. 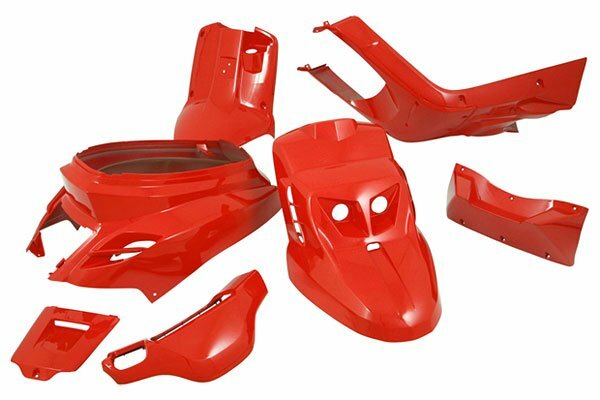 Complete kits include front fairing, headlight mask, steering head cover, front musguard, tank cover, left / right side panels, left / right rear side panels and rear mudguard. 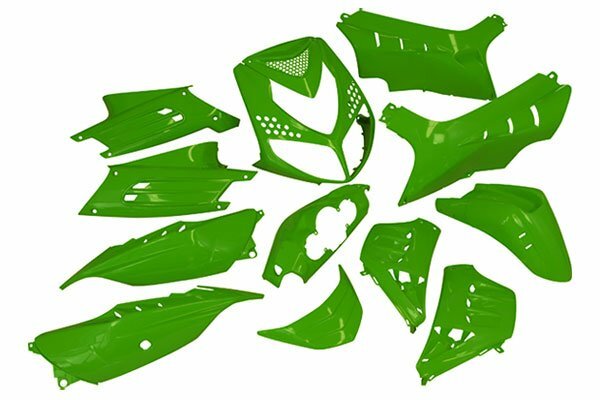 All panels are painted and available in several colours: white, black, blue, orange, red and green. You can simply install the parts as are or add some decals to add some extra customizing to your moped. Prices range between 89 € and 145 €. 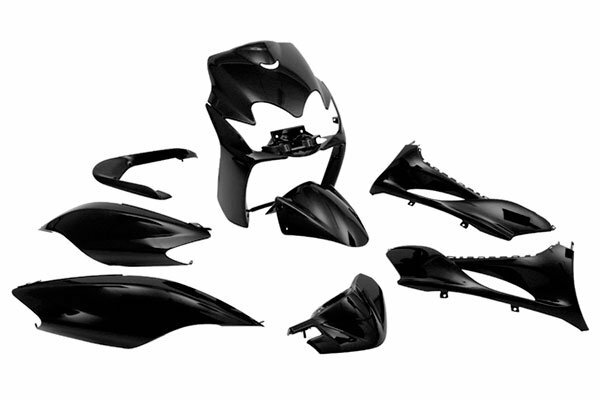 The discounts apply to Derbi Senda DRD and Xtrem.